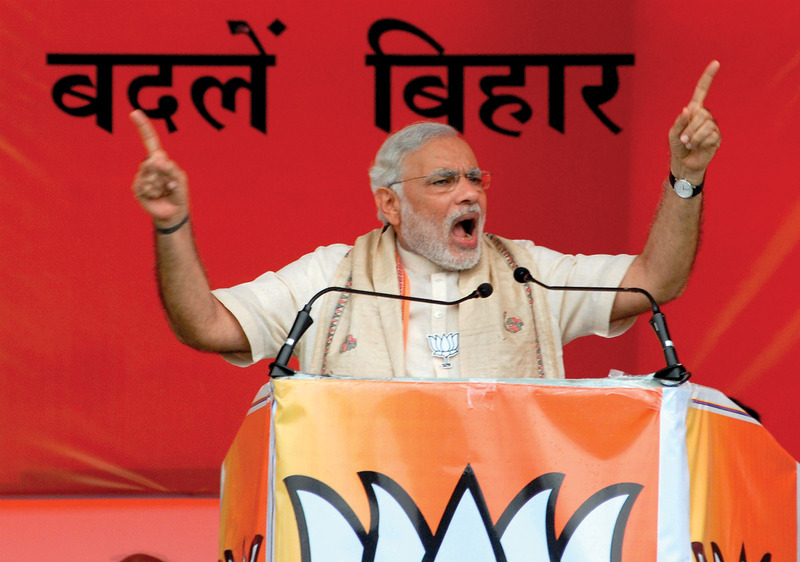 A Mighty Wind – Sig Nordal, Jr.
Hawa, a Hindi word for wind or air, carries a subtler meaning in Indian politics. A politician’s hawa is the tailwind that propels him to victory; it is the superior momentum that comes with being on a roll. For the past five years in the world’s biggest democracy, one man, one party, and one ideological current have pretty much cornered all the hawa. A puffing guardian spirit tangibly energizes Narendra Modi, India’s prime minister; despite his modest stature, the bearded sixty-seven-year-old can fill a room with a swirling air of quiet purpose or, some would say, menace. All across the country hawa can be felt ruffling the ubiquitous orange flags of his Bharatiya Janata, or Indian People’s Party (BJP), and stirring the long-suppressed ambitions of the Sangh Parivar, the “family” of Hindu nationalist groups that is the party’s ideological home.